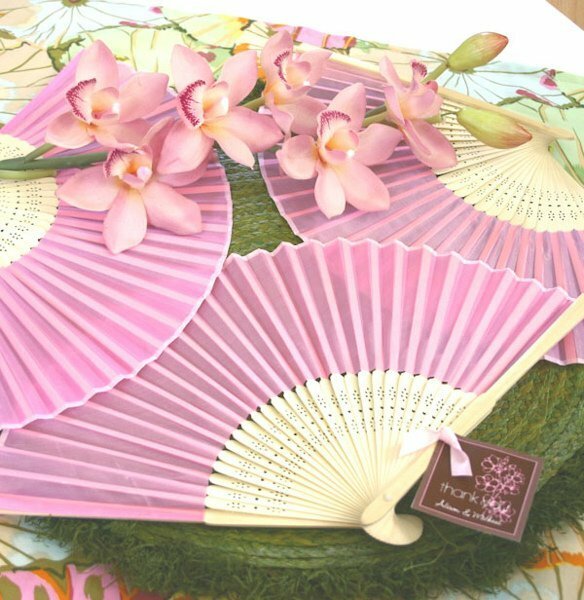 Add a touch of graceful class to your event with our elegant silk wedding fans. 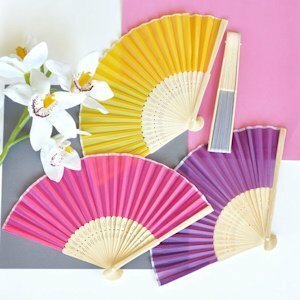 Perfect for a spring or Asian themed wedding, this pretty and practical favor will keep your guests cool. Place one on each seat or use as place card holders by weaving a thin piece of paper through the bamboo stems. Measures 8" in length. Personalized tag not included. 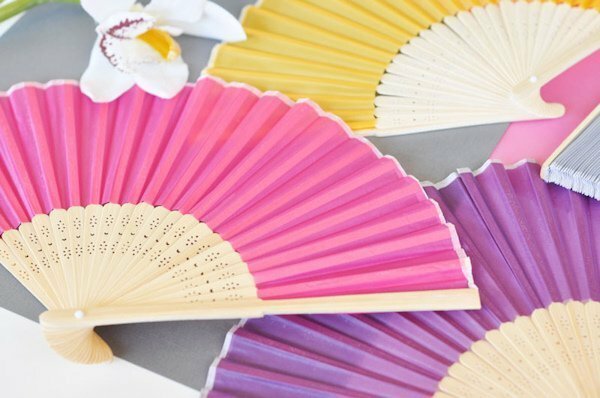 These lovely wedding favor fans are perfect for Spring and Summer outdoor events! Available in 12 colors. I don't see where you place your personalization on the fan. It keeps saying at checkout but I don't see it. Please help. You can only personalize the color of the Hand Held Folding Silk Fan Favor, you can't add any text. 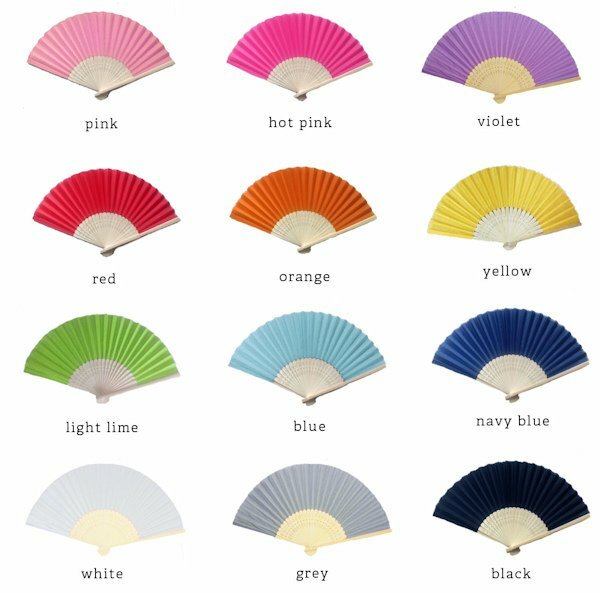 Hi, I would like to order some silk hand fans (personalized) and I am wondering if I can get them in different colors? 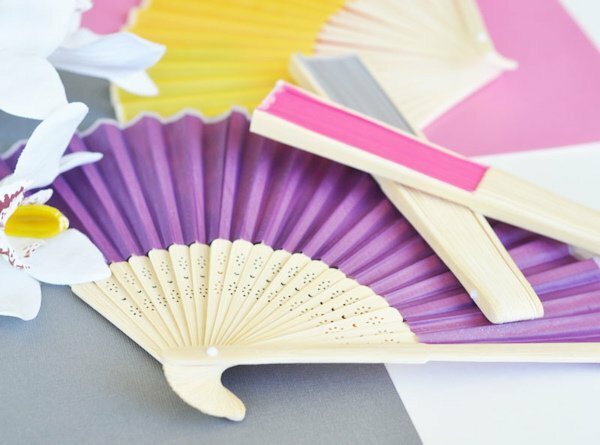 You can order different colors of the Hand Held Folding Silk Fan Favors but you need to add them as separate times in your shopping cart. When ordering these fans, is it an assortment of colors? Hand Held Folding Silk Fan Favors. You may need to do separate order if you want different colors. If I got x amount of several colors to equal 80-100 in quantity, do you still honor that price? 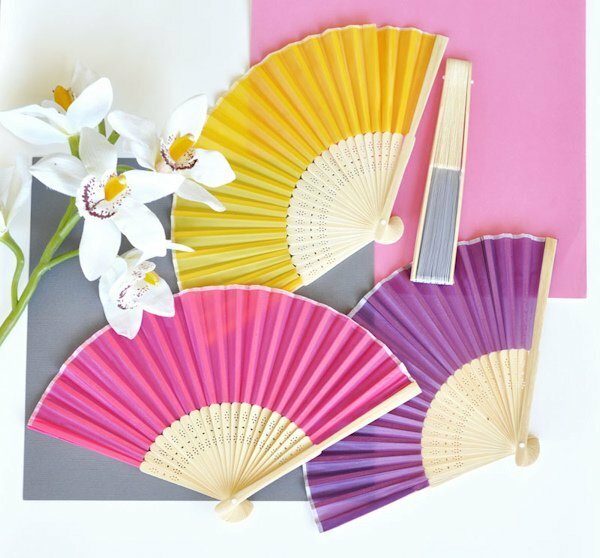 To receive the bulk unit price, the Hand Held Folding Silk Fan Favors must be the exact same color. I'd like to personalize with name/date of events but do not see an option. 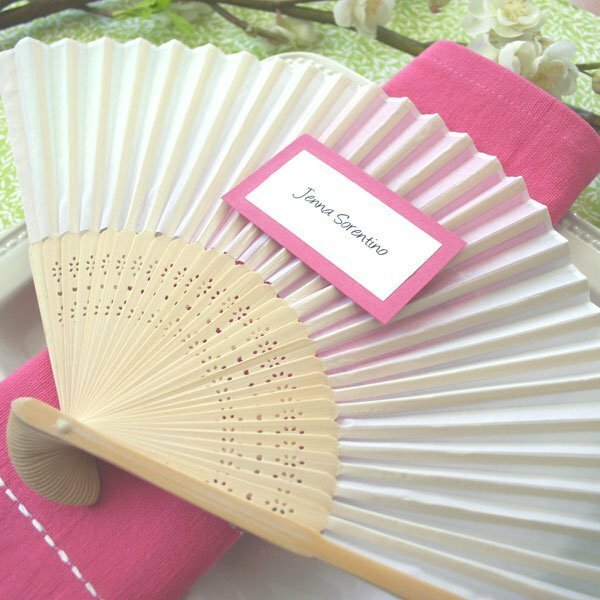 You can personalize this Hand Held Folding Silk Fan Favors (12 Colors) after adding it to your shopping cart, you will have an option to enter your personalization before check out.